When the weather’s warm and summer is in full swing, the last thing you’ll want to be thinking about is your heating system, right? It’s when a cold snap hits in winter and the heating is turned on for the first time, that boilers most often fail. As a result, that’s when boiler engineers are at their busiest, attending emergency callouts when homes and businesses are left without heating and hot water amidst plummeting temperatures. And of course, for those who fall victim, having a boiler breakdown in the height of winter is not a pleasant experience at all, one which will need sorting out straight away. Yet finding an emergency plumber might be easier said than done. When you get your boiler repaired, serviced, or replaced in summer, it doesn’t matter so much if you have to wait, because more often than not, the weather’s warm. When you get your boiler replaced, repaired, or serviced in the summer, in addition to it not being quite such an urgent issue, you’re more likely to get the job done sooner, thanks to the lower amount of boiler problems that there are at this time of year and, as a result, the less busy that plumbers and heating engineers are. So, despite the fact that you’ll be warm while you wait, waiting might not even be an issue in the first place. When a boiler is not in use it’s easy to tell when something’s wrong, such as a build up of deposits causing a blockage in the system. As such, it makes perfect sense to have your boiler problems fixed, when you don’t really need to use it and can cope without a boiler while the problem is solved or replaced. When it’s not an emergency to get your boiler back up and running, you can take your time deciding on the best heating and plumbing engineers in Leicester to choose from and more specifically, which is the right boiler for the needs of you and your family. It’s also the best time to have a boiler service, because again, if problems arise, you’re able to take your time picking the best people to get the job done. When you get your boiler replaced in the summer, you can feel confident that you’ve very little chance of suffering a boiler breakdown when the weather turns cold. This means peace of mind in knowing that your home or business will stay warm when it’s frosty outside – and, in addition, a new boiler can save you money, because it’s often far more efficient. So, you’ll be saving on the winter heating bills too. Remember, you must only ever employ a Gas Safe registered engineer to work on your boiler or central heating system to ensure it’s safe and working efficiently. 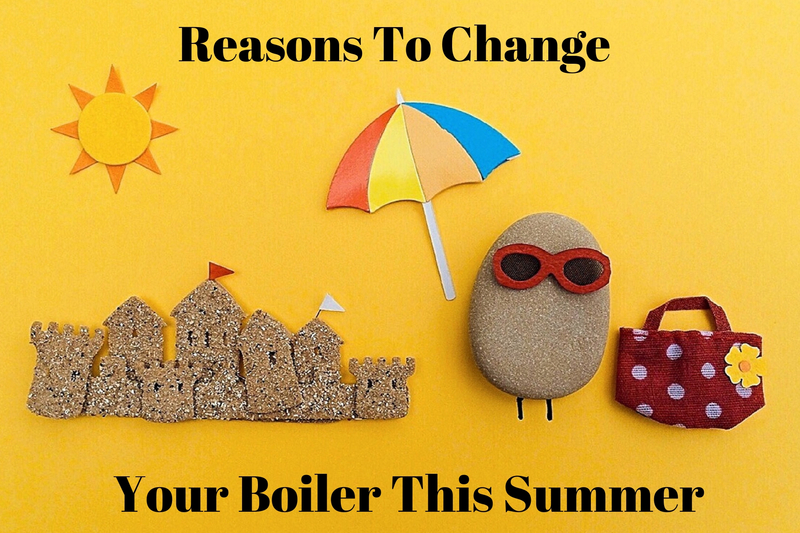 If you know you need to upgrade your boiler this summer, contact Taylor Pickering today on 0116 287 76 73. This entry was posted in Latest News on 20th March 2019 by Lawrence Taylor.